We are a leading Service Provider of Cinevantage Direct-to-Print, Editing, Audio Suite, Quality Control, Film Processing & Subtitling and Film Stock from Mumbai, India. 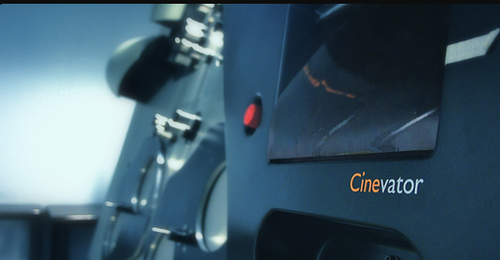 Our unique 'Cinevantage' direct-to-print services are based on the Cinevator film recorder. This advanced system provides direct-to-print film output enabling our customers to make huge savings compared with traditional print processes. Cinevantage provides real-time recording and outputs direct-to-print from 2K resolution log .dpx image files, .wav, Dolby MOD and DTS/Datasat audio formats simultaneously. This eliminates the need for intermediate stock, sound negative and additional processing. Time is saved and costs are minimised. We have several Apple Final Cut Pro editing systems located in our modern, air-conditioned and comfortable edit suites. The FCPs are part of our efficient and collaborative end-to-end digital workflow that connects all our DI and digital post systems via high-speed network and our BrightDrive shared storage environment. Our new, purpose-built audio suite is equipped with the latest advances in sound technology, making it perfect for all motion picture, television and radio productions. Every detail has been meticulously executed, providing you with a truly creative and dynamic facility. Our professional calibration tools ensure total stability and evenness so that we can guarantee consistency for every print. Our online projectors are fitted inline to the processing machines, making sure that every foot of film processed is screened. Check prints are projected playing any sound format including SR, SR-D or DTS. Process chemicals are analysed in our in-house laboratory by a team of chemists before use, and are monitored online and on a 6-hourly basis. Filmlab also participates in the Deluxe Laboratory Quality Control process control system. We use state-of-the-art high speed, bi-directional, continuous contact 35 mm and 16 mm film processing machines that are regularly calibrated to comply with international standards and procedures. Chemicals and reagents used in our processes are Laboratory Grade and sourced from reputable international brands. In addition, they are subjected stringent quality checks prior to use. Our highly skilled laboratory technicians check all film negative in the confines of our clean and dust-free labs, and apply 100% diligence throughout each task as a matter of principle and pride in their work. We can meet all your film stock requirements. We supply Fujifilm and Kodak 35 mm, 16 mm and Super 16 colour negative and black and white negative of 35 mm, 16 mm and Super 16 mm. Our ordering system is fast and efficient and we will have your delivery with you within one working day. Our sister companies are specialist suppliers of advanced, state-of-the-art digital cinema equipment and services including the latest 3D projectors and sound systems. For more information, please contact us and we will be happy to put you in contact with them. Our fast turn-around telecine and transfer services use Spirit 2K with Bones Dailies. The Spirit 2K enables scanning at full resolution while Bones Dailies is perfect for telecine and transfer for creating video for editing.